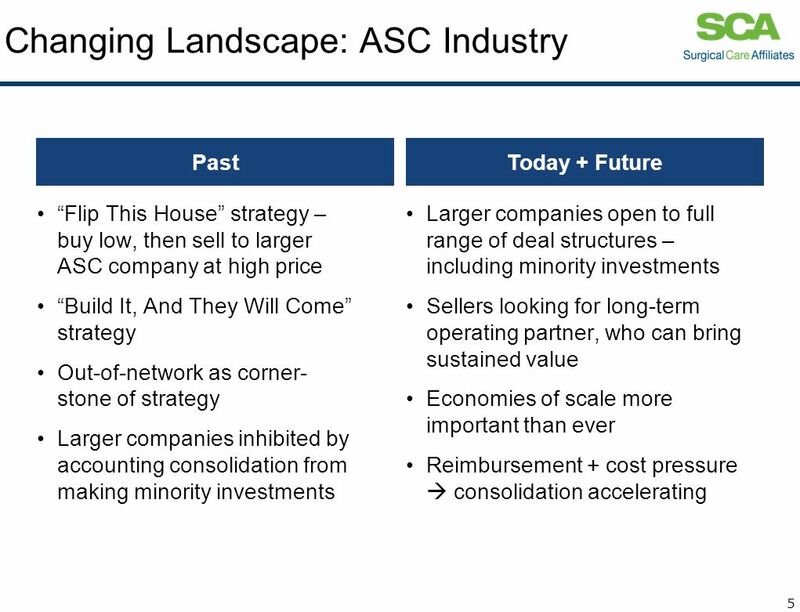 12 The ASC industry is no longer growing. 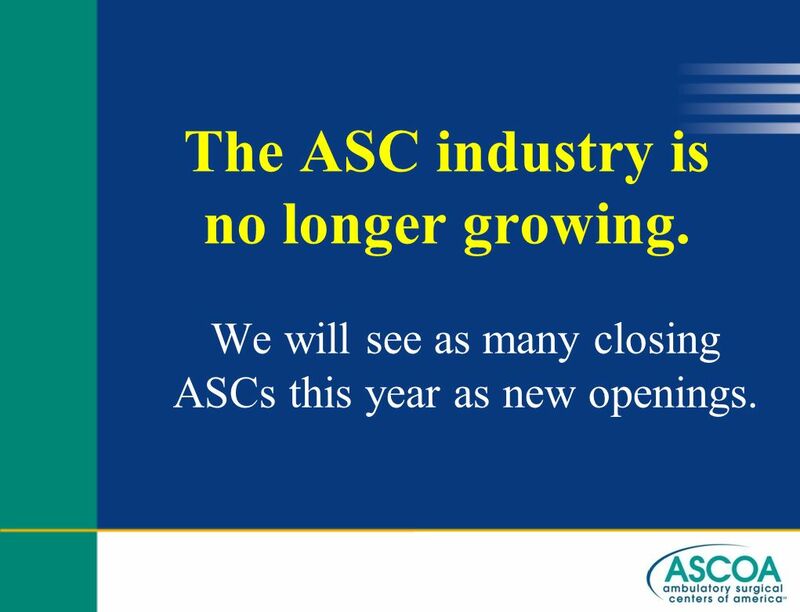 We will see as many closing ASCs this year as new openings. 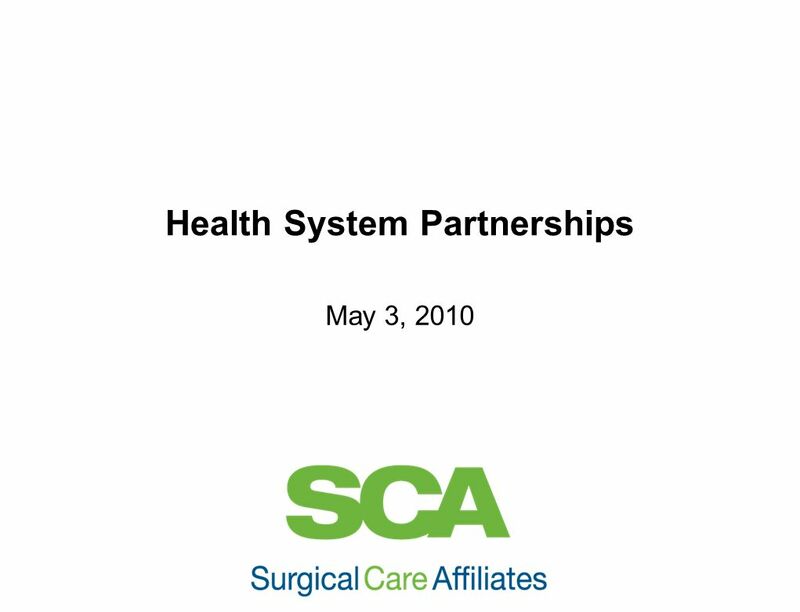 13 The pool of surgeons is not growing, but rather contracting as a function of the population. 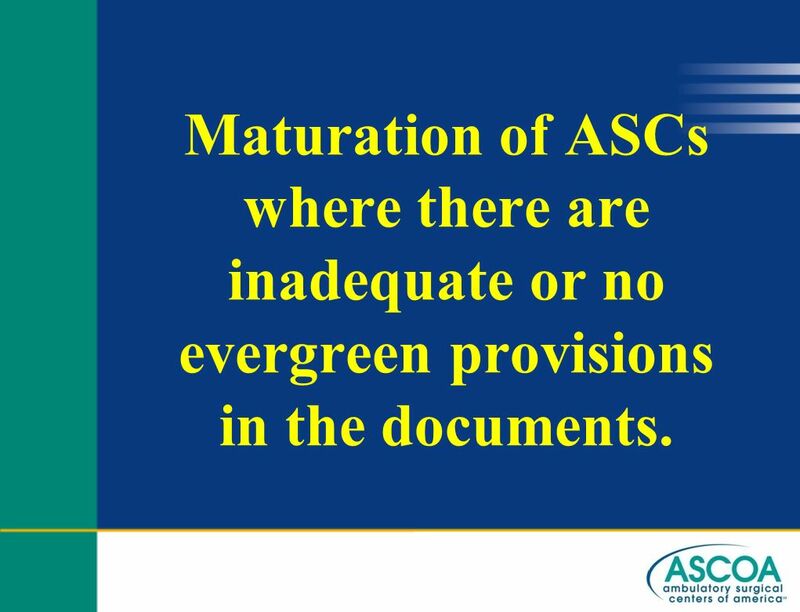 14 Maturation of ASCs where there are inadequate or no evergreen provisions in the documents. 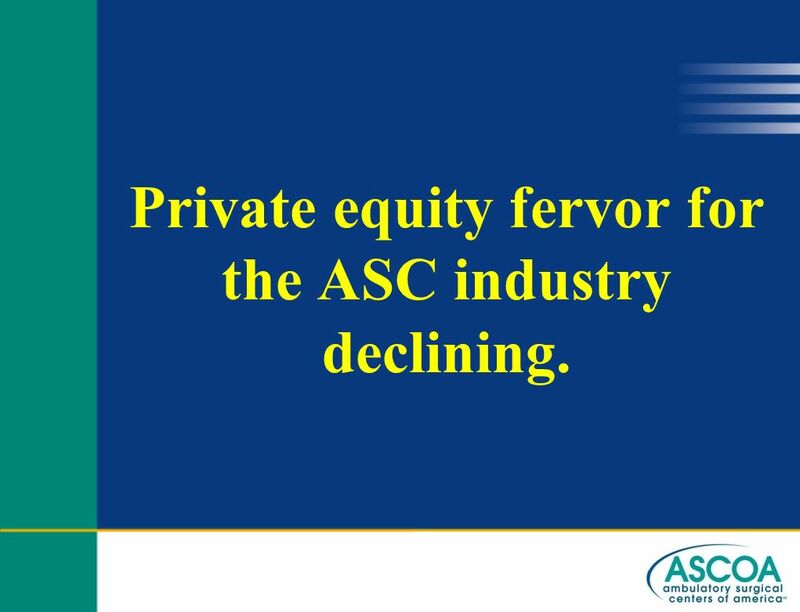 17 Private equity fervor for the ASC industry declining. 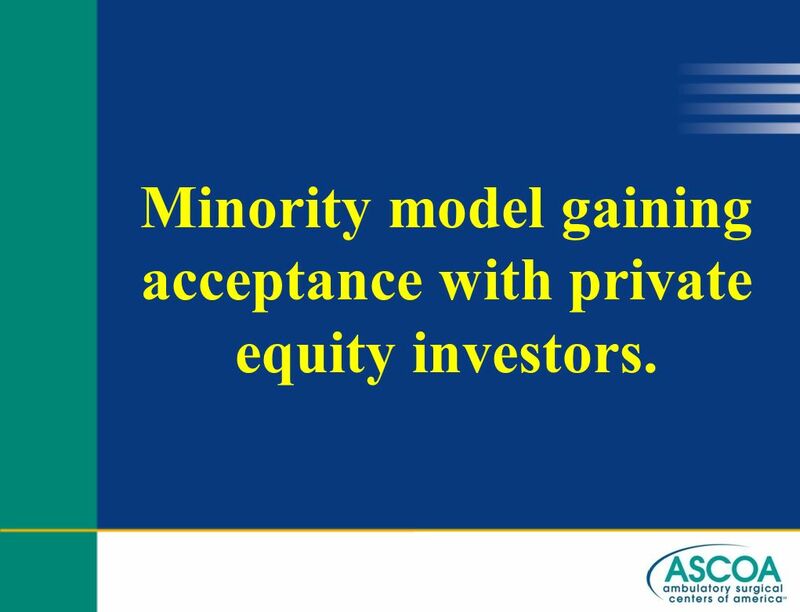 18 Minority model gaining acceptance with private equity investors. 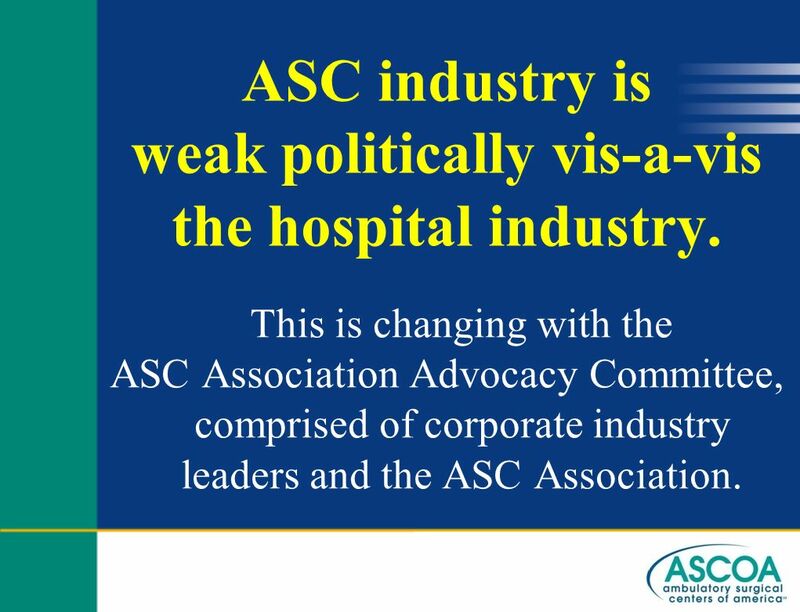 19 ASC industry is weak politically vis-a-vis the hospital industry. 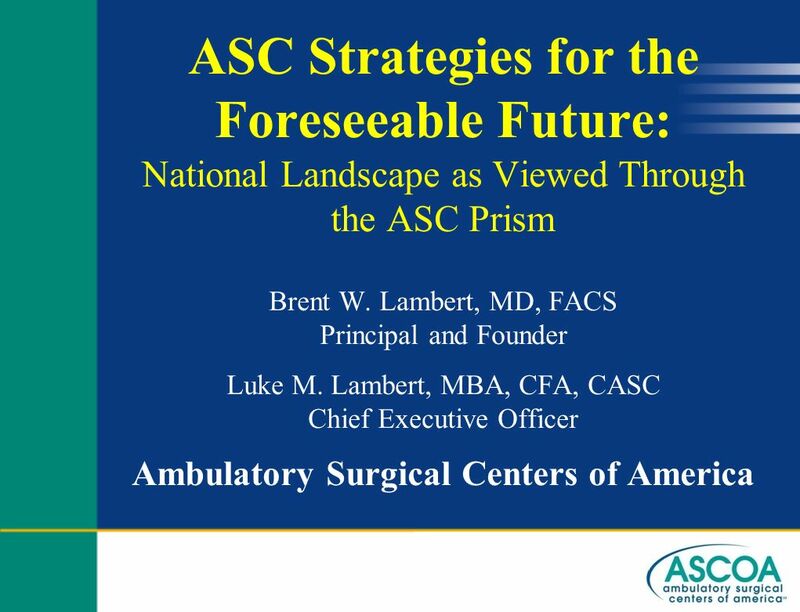 This is changing with the ASC Association Advocacy Committee, comprised of corporate industry leaders and the ASC Association. 20 The Squeeze is On Now reaping the effects of dramatic cost inflation. 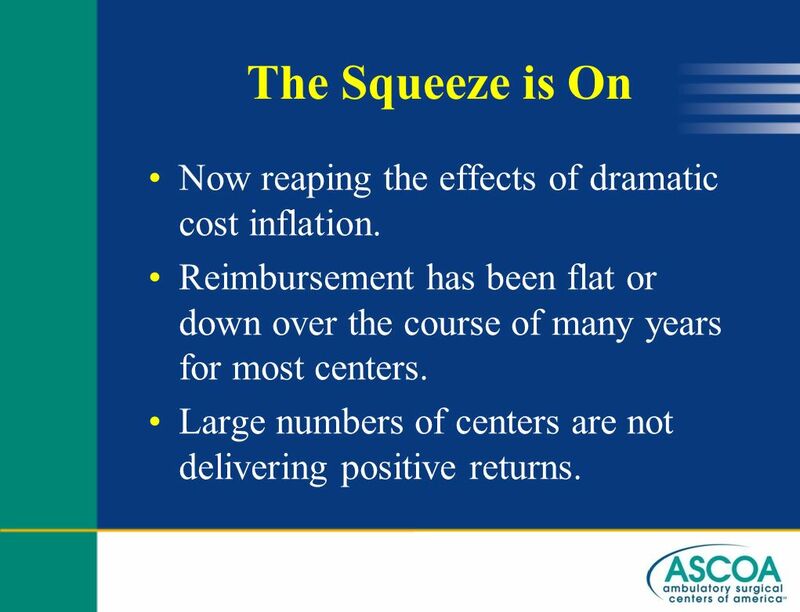 Reimbursement has been flat or down over the course of many years for most centers. Large numbers of centers are not delivering positive returns. Capital is relatively abundant compared to good management. 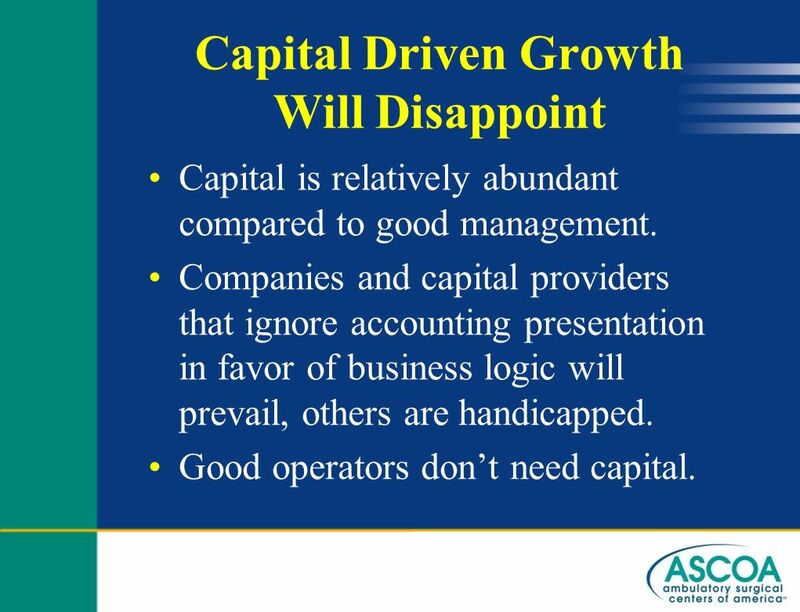 Companies and capital providers that ignore accounting presentation in favor of business logic will prevail, others are handicapped. Good operators don’t need capital. 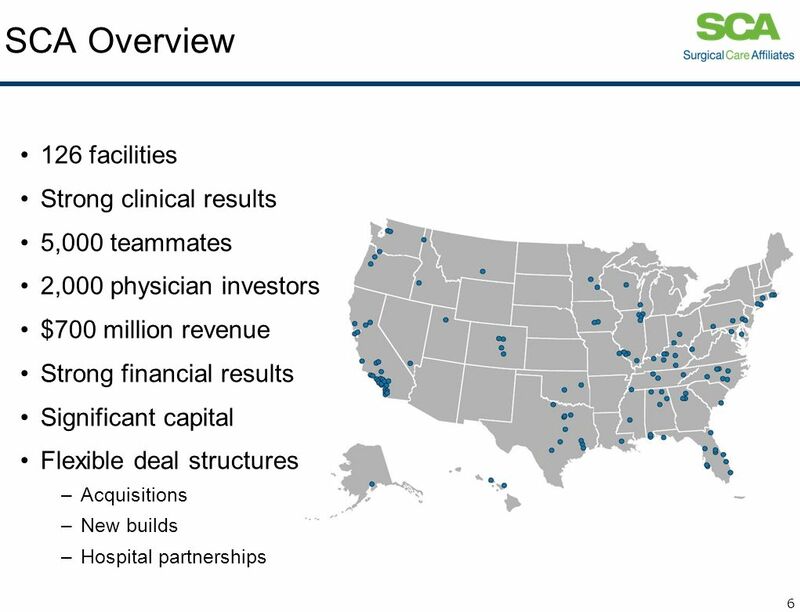 You’d be surprised how often I hear: We have to own a majority, this works from a CF perspective but not for EPS, or our investors too trend oriented to be able to buy OON centers even at ridiculously low prices. 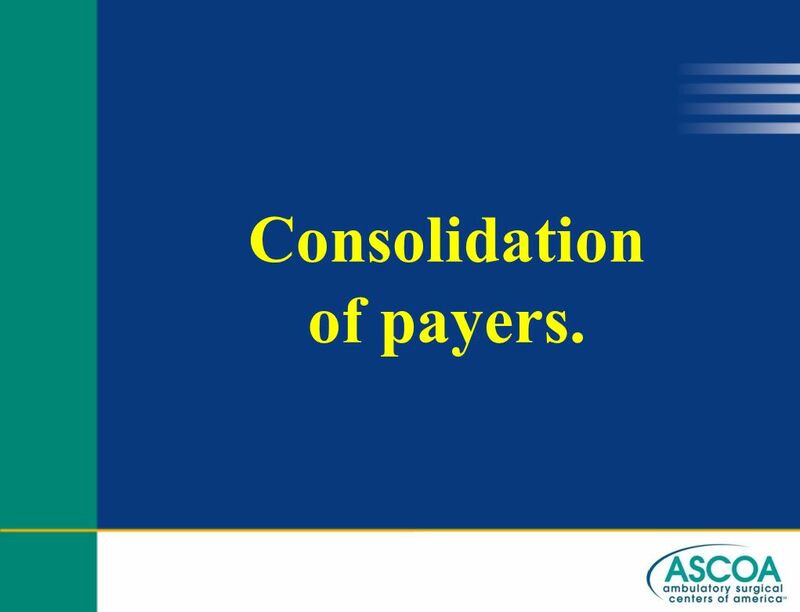 Schedule consolidation delivers good old fashioned labor productivity and margin improvement. 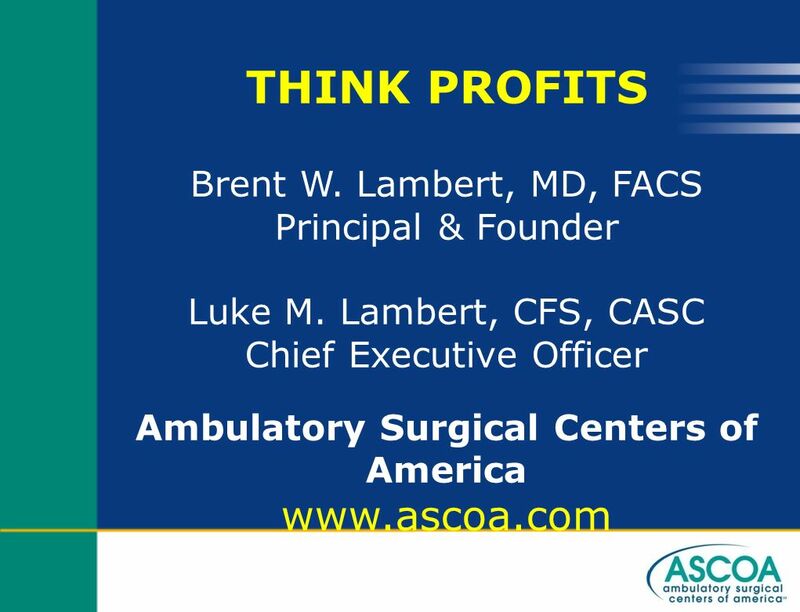 Surgeon preference drives supply cost. 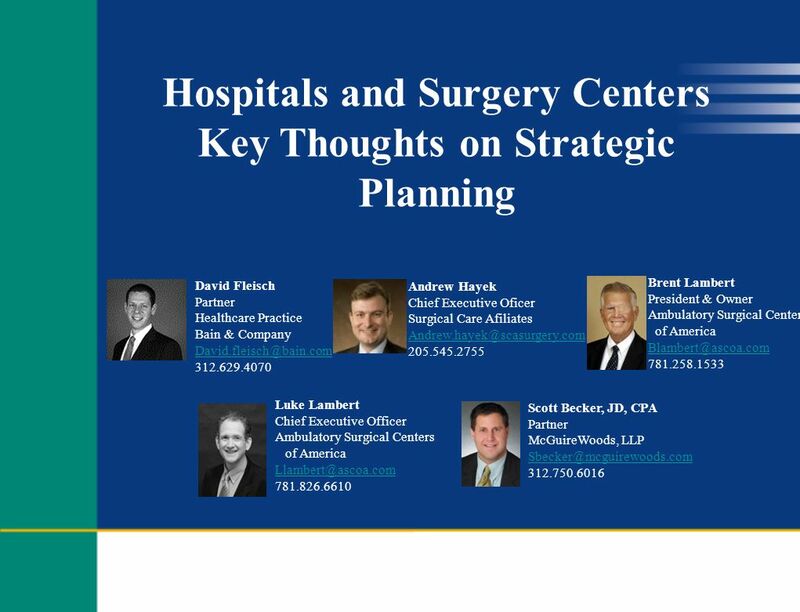 With financial returns threatened surgeons willing to make hard decisions. 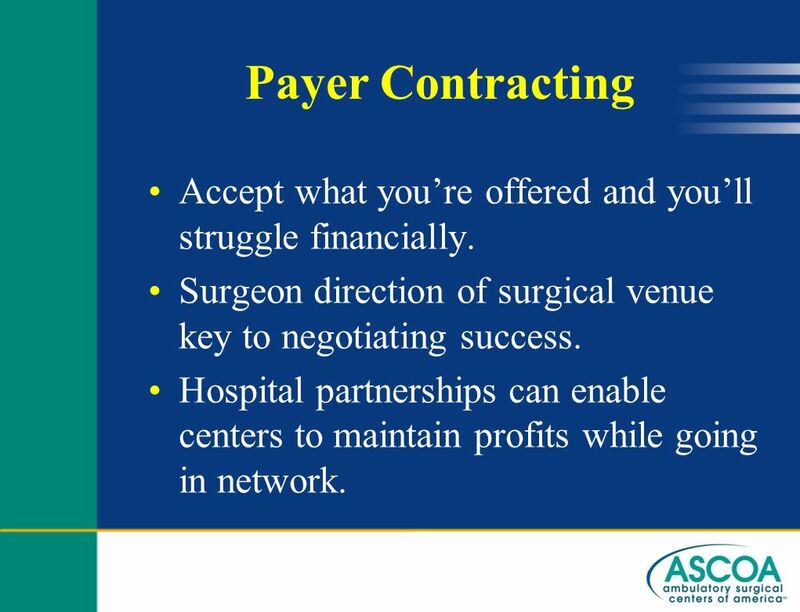 23 Payer Contracting Accept what you’re offered and you’ll struggle financially. 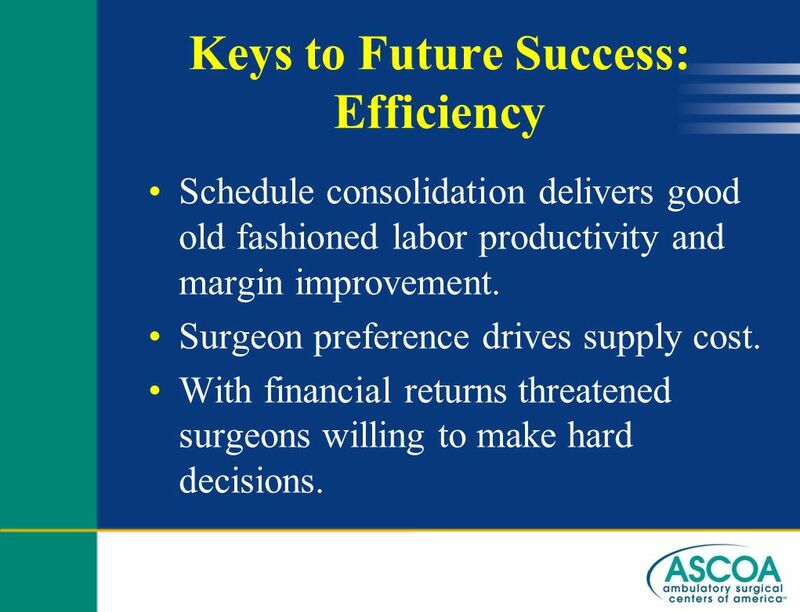 Surgeon direction of surgical venue key to negotiating success. 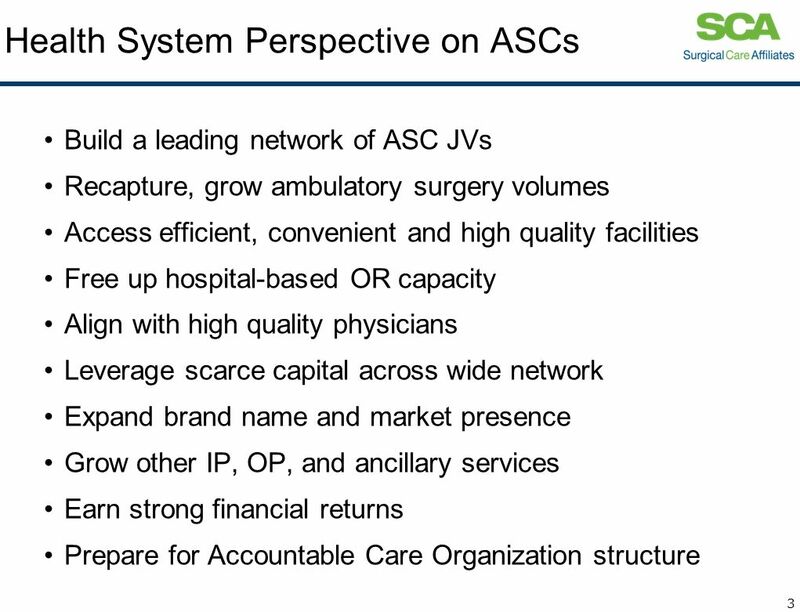 Hospital partnerships can enable centers to maintain profits while going in network. 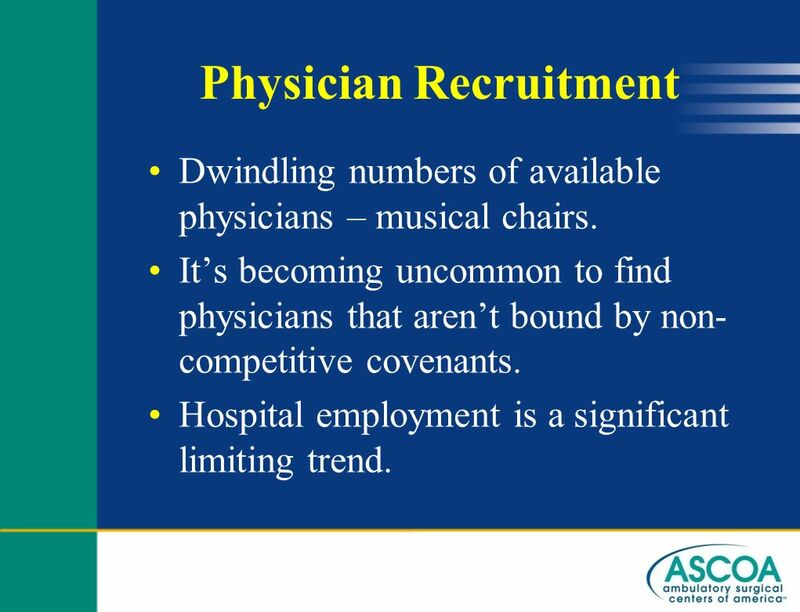 Dwindling numbers of available physicians – musical chairs. 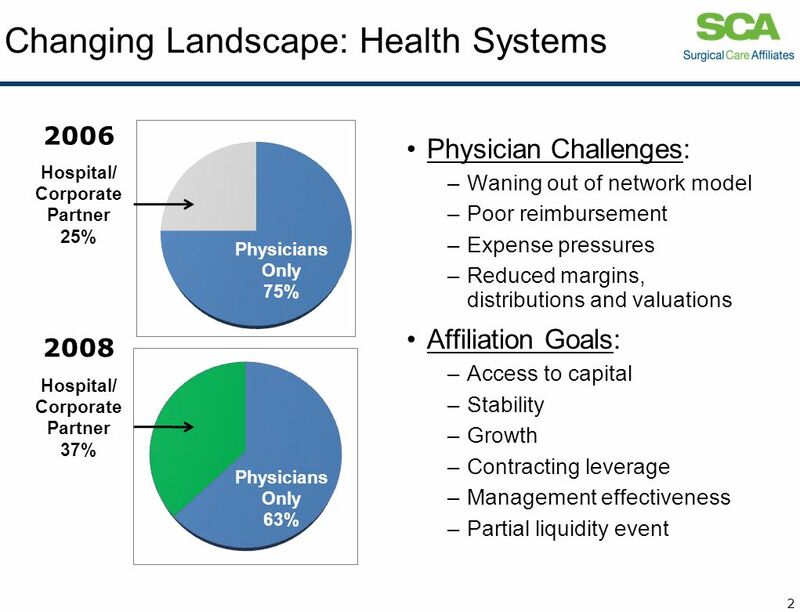 It’s becoming uncommon to find physicians that aren’t bound by non-competitive covenants. 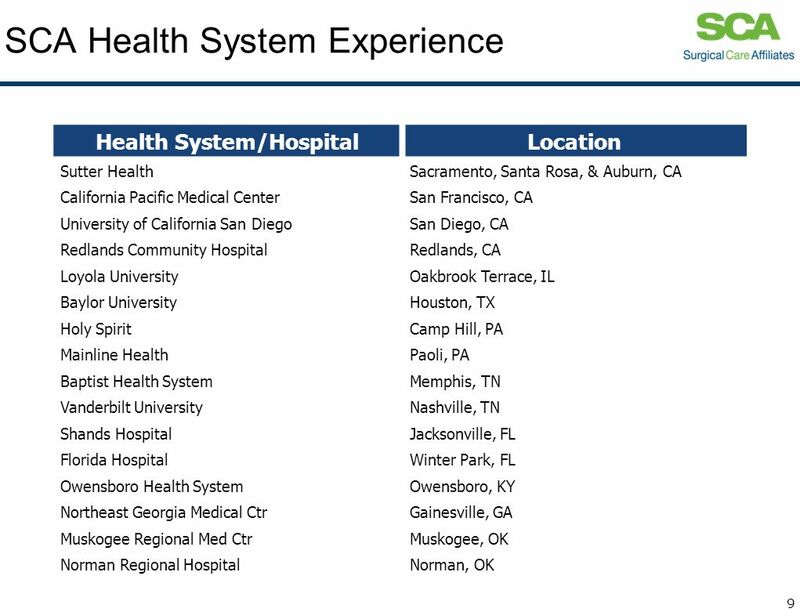 Hospital employment is a significant limiting trend. 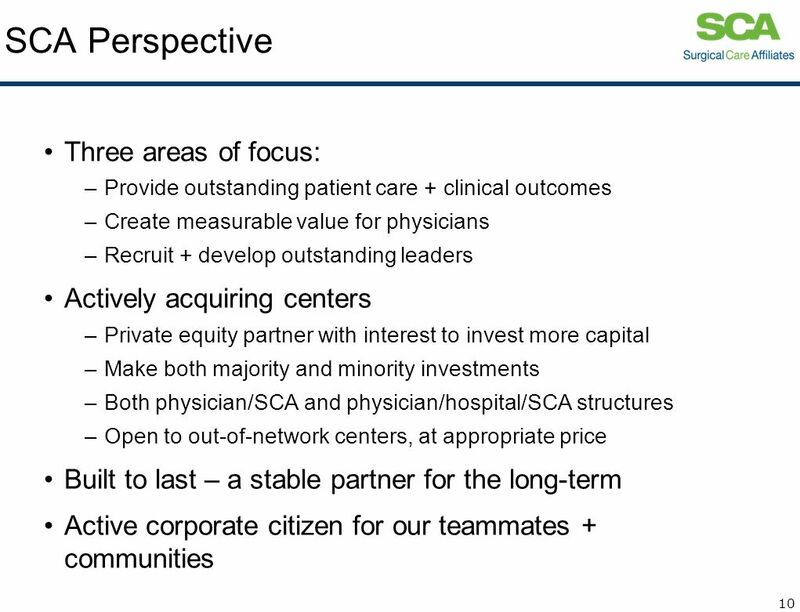 Level of surgeon participation impacts: schedule, supply costs, and recruitment. Accounting driven business models compete with one arm tied behind their back. 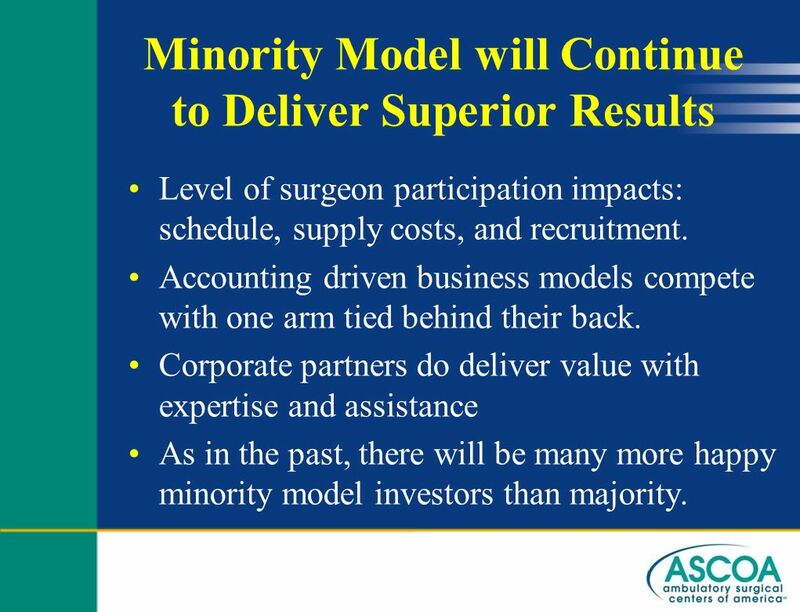 Corporate partners do deliver value with expertise and assistance As in the past, there will be many more happy minority model investors than majority. 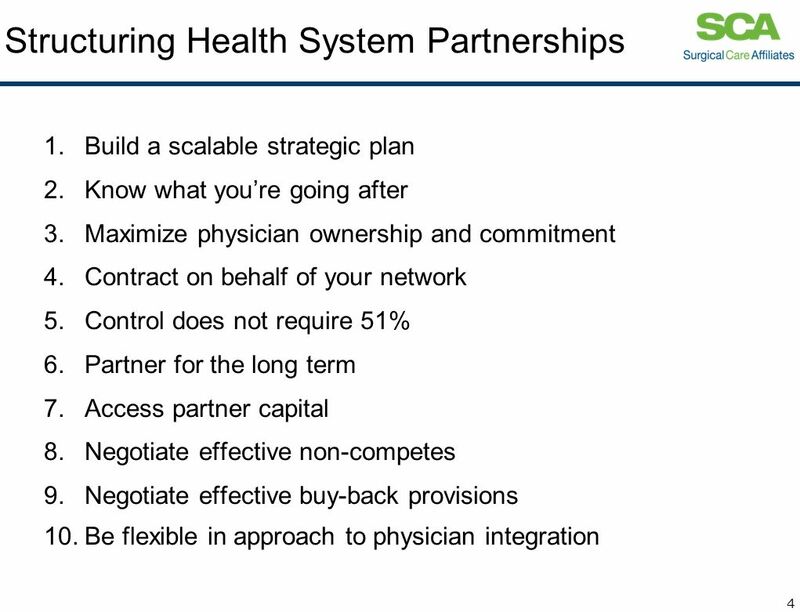 Download ppt "Health System Partnerships"
TM OBTransformation.com. C-Level Trends of Note ISSUES OF NOTE Funding New Business Entering New Markets Globalization REQUIRES Innovation Flexibility. Shita Dewi Capacity Planning. 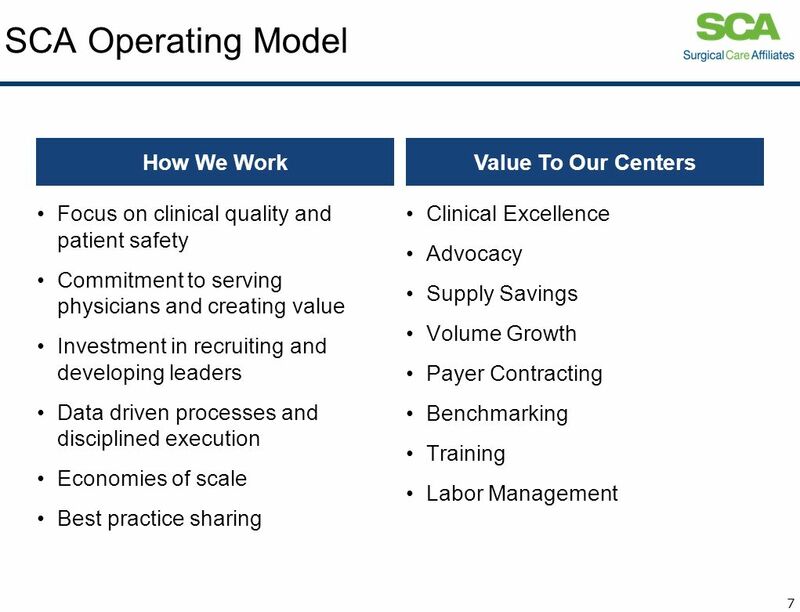 Harding-Montagu-Preker Framework: Overview Distribution (equity) Efficiency Quality of Care Source: Adapted from Harding. 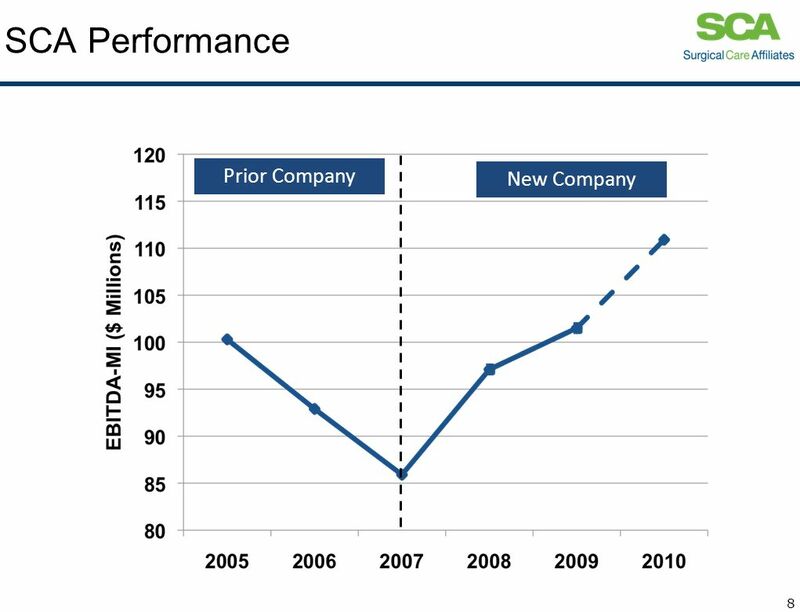 Interim Report January–December 2014 Vaisala Corporation February 12, 2015.
Business Planning for Health Organizations ID 536 April 25, 2008 Paul Campbell Harvard School of Public Health. PricewaterhouseCoopers LLP The colour contrast has been set to maximum. Click on PwC, Tools, Colour Contrast, to select Normal-contrast colours. The colour. Florence Fennel Corporate Resumé We, at Florence are a full service brokerage company, we provide sellers and buyers with innovative and absolute new real. 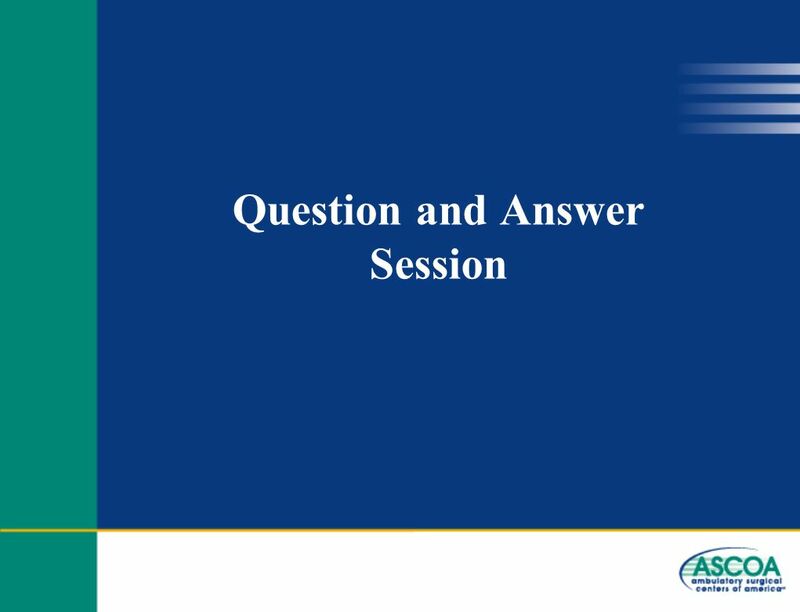 4th Annual Investor Conference May 16, 2001 HEALTH PLANS DIVISION Panel Discussion: Contributing Value to Cost of Care.